Solarize New Haven makes going solar easy and affordable. In the first eight weeks of its residential solar campaign, 90 New Haven homeowners have expressed interest in determining their home’s ability to capture solar energy and offset their electricity bill. That number is expected to climb as United Illuminating’s residential electricity generation rates in January increased 27%. Solar’s ability to protect against future utility rate increases is one of its most appealing benefits. New Haven residents must sign a contract by March 7 to qualify for Solarize New Haven pricing. To find out if your home is good for solar go to SolarizeCT.com/New-Haven. Residents who live in surrounding communities can also participate in Solarize by going to SolarizeCT.com. Upcoming solar workshops will take place on Saturday, Feb. 10, 7-8 p.m., at the First Unitarian Universalist Society, 608 Whitney Ave., and on Sunday, Feb. 11, 1-2:30 p.m., at the New Haven Friends Meeting, 225 E. Grand Ave. More information about Solarize New Haven can be found by visiting SolarizeCT.com/New-Haven or by contacting Chamae Mejias cmejias@smartpower.org, (860) 331-1041. 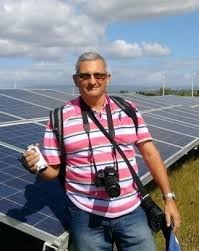 Help Puerto Rico Recover with Solar Power! 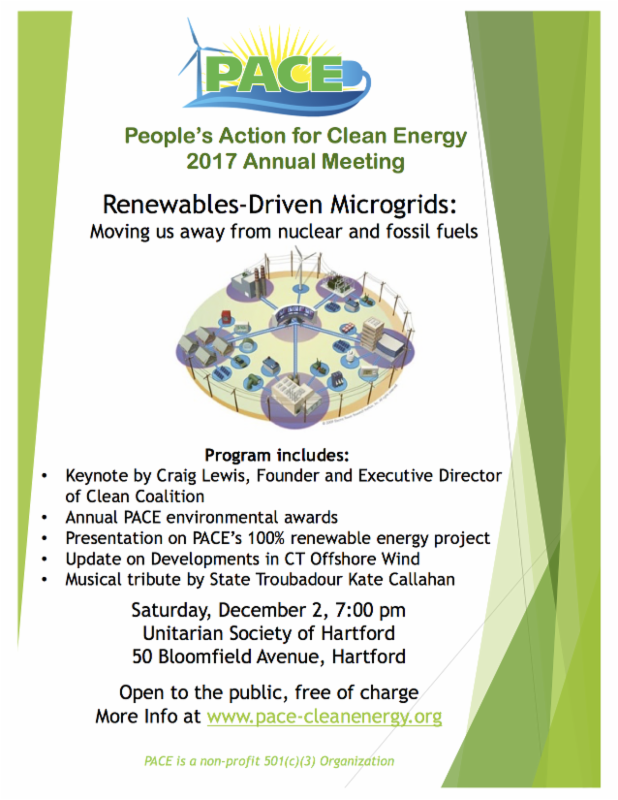 The Elm Energy Efficiency Project and New Haven/León Sister City Project are launching a new project called the Solar Solidarity Project. Its aim is to raise money to build and install solar panels in Puerto Rico using home energy savings from the New Haven area. We would like people to lower their energy usage and redirect their energy bill savings to help give Puerto Rico clean, renewable energy. This project also addresses the ever pressing issue of climate change and helps Puerto Rico become less dependent on a power grid, in prepar-ation for future natural disasters. 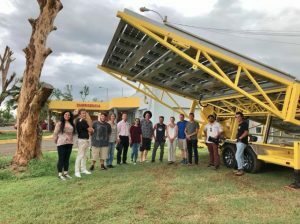 You can learn more about the project, how to get involved, and how to donate at our website: http://www.elmenergyproject.org/solidarity-solar-project. If you are a teacher or student interested in having your school involved in this project, please email us at solarsolidarityproject@gmail.com. The Greater New Haven Green Fund solicits small and large grant applications once a year. An electronic version of the cover letter, application, budget, and attachments should be sent to grants@gnhgreenfund.org. You may download the request for applications (RFA) for the Green Fund or the Public Service Enterprise Group, Inc (PSEG) by going to http://www.gnhgreenfund.org. Deadline is 5 p.m. Jan. 12, 2018. They’ve changed the RFA this year so be sure to review the initial pages, especially if you have applied for grants in previous years. The PSEG RFA is separate from the regular grants because the money came from a Community Benefit Agreement between the City of New Haven and PSEG, Inc. to provide small grants to help educate citizens about air pollution. You may apply for the 2018 RFA or the 2018 PSEG RFA but not both. Go to http://www.gnhgreenfund.org to download the RFA.